The neck strap is made of comfortable and durable Neoprene. The side attached to the clothes adopts anti-slip design to prevent the strap from going around when shooting. In this way, you will be able to achieve a better stability when shooting. 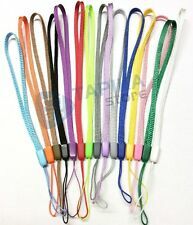 Elastic strap, made of superior quality material, durable and usable. Material: ABS Elastic nylon. Anti-skid design back of the strap, making it using more convenient. Comfortable to use. The strap adopts ergonomic design, and the weight is distributed evenly by way of the shoulder pad. 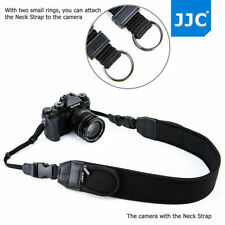 - The length of the strap can be adjusted in front conveniently. - Slides Up Strap for Split Second Fast Shooting. 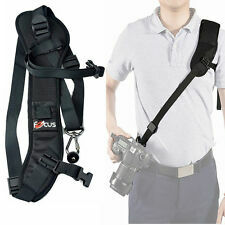 JJC GB-1 Utility Photography Belt is designed to simultaneously accept 5 optional JJC DLP series lens pouches. The utility belt features a lockable buckle which can effectively prevent belt from loosening yet easy to adjust the length of the belt. Buckle Lock Design, quick-released. Neck Strap x 1. Length-adjustable, one size fits all. Compatible with housing case of GoPro Hero 1 2 3 3 4 5 Sj4000 Sj5000 Sj6000 Xiaomi Yi. Made of high-strength layer fabric material, wearing comfortable and fasten. 1 x 360 Degree Rotating Wrist Strap. The inner of the strap is made from a soft, durable neoprene padding with an anti-slip weave and the outer fabric a soft woven nylon for extra comfort. This strap can also be attached to many different models of binoculars and is a great alternative neck strap for use with the binoculars. Slingshot catapult. Slingshot Pouch. Slingshot Rubber Band. Slingshot Accessory. Complete Slingshot. Bottle Pouch. Battle Mug. Waist Clamp. 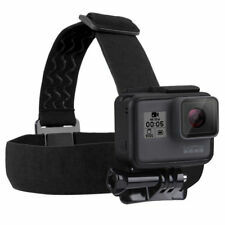 Waterproof Floating Diving Foam Wrist Arm Strap for GoPro Hero Series Mi Xiaomi Yi Action Sport Camera Description: This floating strap will keep your underwater camera afloat and easy to find in water. Color Red Rope Climbing Neck / Shoulder Strap Compatible with all Camera. Material: Polyester, Rope climbing. Product Feature Color: Red. Light weight: Approx 35g/piece. If item is defective after 3 months, you can still send it back to us. We will send you a new one after receiving the defective item. 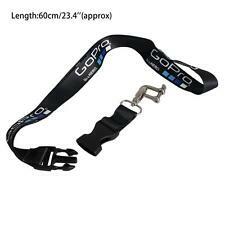 Color Black Rope Climbing Neck / Shoulder Strap Compatible with all Camera. Material: Polyester, Rope climbing. Product Feature Color: Black. Light weight: Approx 35g/piece. If item is defective after 3 months, you can still send it back to us. We will send you a new one after receiving the defective item. Reduces neck and shoulder fatigue. Anti-slip design to prevent the strap from going around. 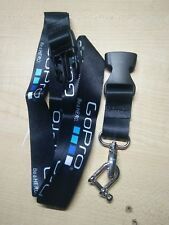 click on >>>> [SpiriusGifts] (https://stores.ebay.co.uk/SpiriusGifts?_trksid=p2047675.l2563) <<<< to visit our shop Adjustable wrist strap fits for cameras, USB flash thumb drive, keychain, ID badge Holder, name tag, MP3 player and other portable items The strap is adjustable. Braided rope Length 15cm with adjustable security slide. Compatible with MP3 MP4 Players, Mobile Phones, USB Flash Drives, Camera Quantity: 1 Colour: Red Length: 19cm. Material: Polyester, Rope climbing. Product Feature Color: Red. If item is defective after 3 months, you can still send it back to us. We will send you a new one after receiving the defective item. The neck strap is made of comfortable and durable Neoprene. In this way, you will be able to achieve a better stability. And with the two buckles on the strap, you can quickly adjust the strap to your comfort and shooting style. 1 x Eirmai multi-function belt. Color: Black. Wide and perforated back panel supports heavy binoculars. Optics rest below chin for easy, quick sighting. Exclusive at a low price! Made in Russia! 8 external port for hanging lens bag /accessory bag / Tripod /Water bottle etc. 1pcs x waist belt. High quality D ring, easy to carry other bags. Total length: 80-105cm. Our products are exported all over the world. Color Orange Rope Climbing Neck / Shoulder Strap Compatible with all Camera. Material: Polyester, Rope climbing. Color: Orange. Product Feature Light weight: Approx 35g/piece. If item is defective after 3 months, you can still send it back to us. We will send you a new one after receiving the defective item. Peak Design Capture v3 - Black. ◈ Peak Design. Press the lockable quick-release button to remove. Holds well over 200 lbs. Backwards Compatibility: Works with all legacy Peak Design plates except DUALplate v1 (discontinued 2014). ♢ F connector to F connector. ♢ N connector (M) to RP-SMA (M). ♢ TV aerial (M) to F connector. ◈ Peak Design. The all-new Anchor Links will make it even better. Here are the highlights of this products. 1 x Eirmai Shoulder Sling Strap Belt. Strap length : 105cm. Color: Black. Flexible strong safety lock. Flashes & Flash Accessories. Flashes & Flash Accessories including. carry / shoulder bags. Glasses box 1. for olympus. for panasonic. for samsung. Hook and loop fasteners design, can adjust the tightness to your wrist or ankel, very convenient and comfortable to wear. 360 degree rotating, shooting angle can be adjusted to your needs. 1 Wrist Strap. The strap is worn diagonally across the torso from shoulder to hip. Length of the strap may be easily adjusted to your comfort and shooting style through the adjusting buckle on the strap. JJC Self-Retaining Auto Lens Cap Z-Cap Sony E PZ 16-50mm f/3.5-5.6 OSS SELP-1650. 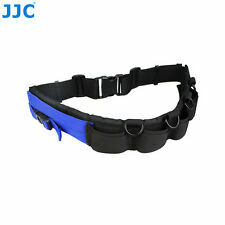 JJC ST-1 consists of two parts - a neoprene strap and a separate polyester fiber loop, and is designed with detaching function. The two parts are connected by a quick-release clip. The high quality neoprene part is very durable.